How is it possible that it's November already? Where did October go? I never even bought a pumpkin! As of yesterday, I'm officially unemployed! Yay! The season is over at the theme park where I work so my time is now my own. I love my job, we had a good year, and I'll miss the people but... Phew! Glad it's over. I'm super excited to have more knitting and reading time. There hasn't been much of either lately. 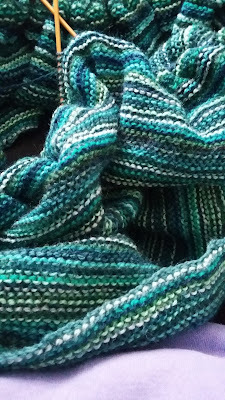 I was able to knit a few rows in the car on the way home from Florida last week. And I started Abducted by T. R. Ragan. It was probably not the best choice for alone-in-a-slightly-sketchy-motel-on-the-side-of-I95 reading but.... I am enjoying the story. 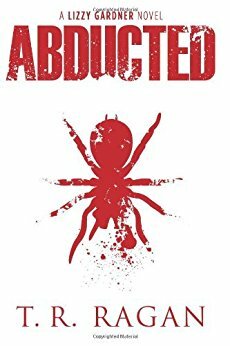 A crazed pyscho-killer is after one of his previous victims who managed to escape his clutches. According to my Kindle, I'm only 22% into the story, but that's far enough to give me the willies & for me to occasionally think I'm being followed. Like I said, the book is really, really not the thing to read when you are alone in a sketchy motel room. Well, that's enough for today. I'll save the driving to Florida and sketchy motel stories for another day. 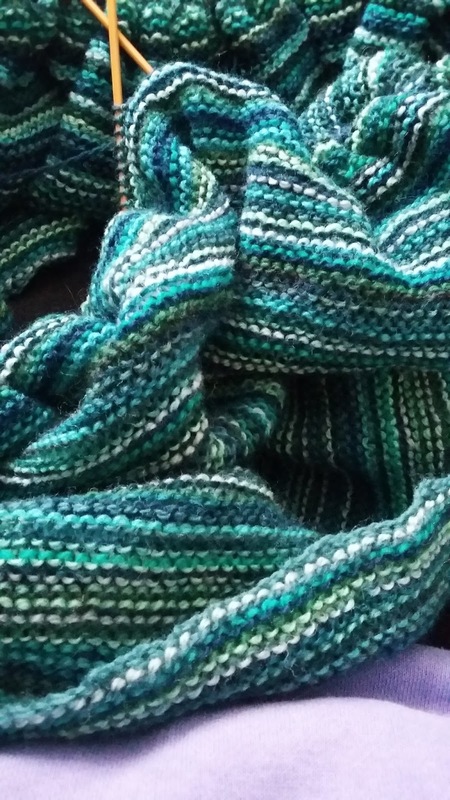 To hear more about what others are knitting and reading, join me over at Kat's place for #Unraveled Wednesday. Time off is wonderful! For me, June seems like it's a long way away! Congrats on your car-knitting...love the yarn. Enjoy your well-earned break from work and hopefully this year won't cause any blimps in your NaBloPoMo posting. Enjoy your time of, knitting looks good, the Lizzy Gardner series is good, I've read them all now but maybe wait till you are tucked up safely in your own home. Congratulations on having some time off! Enjoy your time off, extra reading and knitting time sounds like bliss.